THL (Technology Happy Life) is a Chinese smartphone company which manufactures phones with amazing specifications. As you can see in India too, Chinese companies like Gionee and Xiaomi have captured the smartphone market. China is now advancing more in technology sector, and so is THL. THL sells its phones directly without any tie-up with network providers. 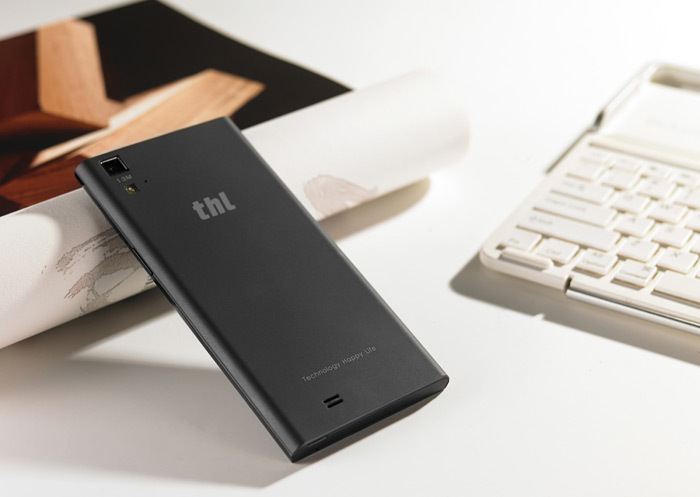 Our readers can buy THL T11 with 47% discount at $219.17 only. So let’s check out the phone in more detail. T11 has a 5 inch IPS display with a resolution of 1280 x 720 pixels. It has corning gorilla glass 3 which will protect the screen from any damage. On the back we have plastic rubberize body which gives the phone a firm grip. Phone has rounded corner and it is square as it gets. It support frequency band of 850/1900/2100MHz WCDMA which will provide 3g in most of the places. T11 is the first model to support 1900 which many users were grinning about previously. It is a dual sim phone, which avoids the need of carrying two phones. The phone has a thickness of 8mm which is normal with a 5 inch device. Talking about performance, we have MTK6592W Octa core processor clocked at 1.7 GHz and 2GB of ram. For graphics it has Mali-450MP GPU which gives an amazing gaming experience. Speaking of storage capacity it has 16 GB of internal memory with external tf card support up to 32gigs. It runs Android 4.2 OS out of the box which has a nice UI design and operating speed. The speaker quality is also loud and clear to hear songs or play games. T11 has 8MP back camera with led flash and autofocus. The front camera is of 5MP which will easily suffice you selfie needs. The camera quality is nice with good color reproduction and proper focusing. To support all these features, it has a 2750 mAh large battery which would make the phone run for a day with moderate usage. You also have NFC and OTG support with many sensors that makes it a great phone in this price bracket. You can check out other competitors to T11 on Gearbest website. With T11 device you also get some accessories like a hard case, screen guard protector, earphones and charger. So these were the amazing features that you get with newly launched T11. Let us know whether you will go for this fabulous device in the comments section below.